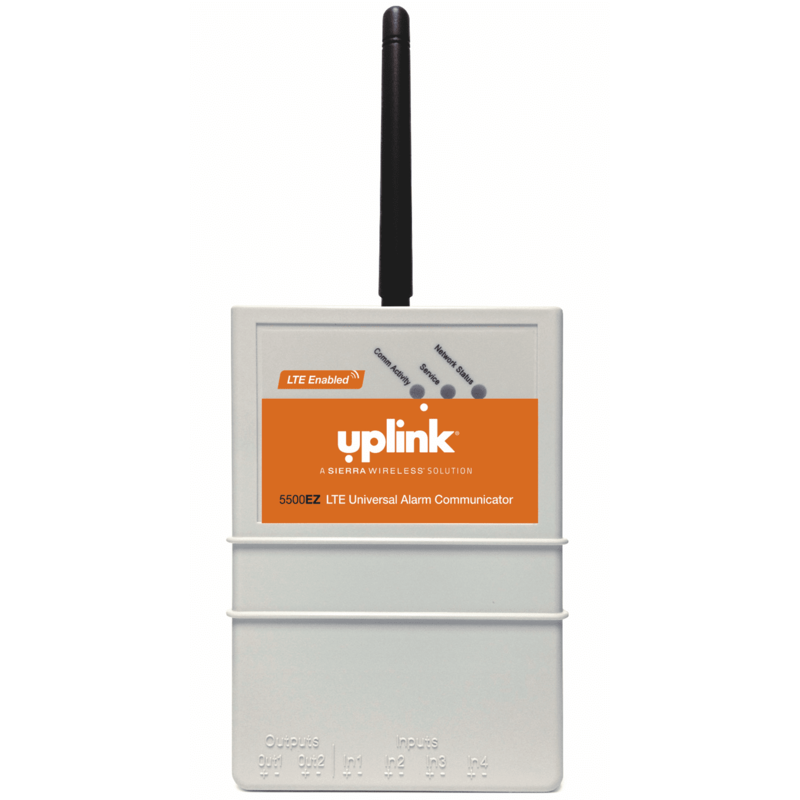 The Uplink 5500EZ is a universal cellular LTE alarm communicator intended for existing security systems. The Uplink 5500EZ includes the latest LTE technology for the best performance and longest life cycle. Compatible with 3G and LTE cellular networks. The 5500EZ is designed as a summary event communicator. Installation of the Uplink 5500EZ is remarkably easy with the use of a secure website. Activation is instant and is available using website, Installer App, or by a live operator. The 5500EZ communicator is great for non-security applications such as pumps, freezers, chillers, motors, electronic devices. Product Dimensions (H x W x D): 4.75" x 3.3" x 1.3"